Owning a cottage or cabin is a fantastic investment that provides you with an escape from your daily life and a retreat from the stressors you are forced to deal with most of the time. While the point of retreating to a cabin is to unplug from the rest of the world, there are some gadgets and gear that can make your trip more enjoyable. Here are some of the best appliances and accessories you didn’t know you needed to make the best of your home away from home. 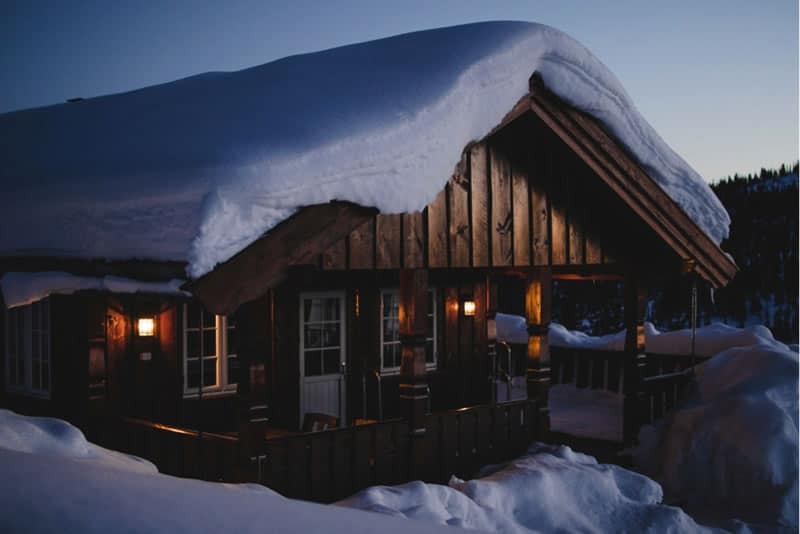 With log cabins made easy and more affordable than they once were, having a cottage or cabin is more accessible than it once was. However, just because you can afford to have a place, doesn’t mean you’ll have access to power, water, and other creature comforts. While your focus should arguably be on unplugging and relaxing, sometimes having a few electronics charged and ready to go can be ideal. The RAVPower Solar Charger can charge a couple small items, such as your phone or camera, while you while away in the sunshine. This tool is perfect for making sure you don’t miss a moment with your camera and that you can take an important business call without having to go into the office and cutting your vacation short. You can also use it to recharge lanterns and other rechargeable accessories for use at night time. One caveat: this solar charger isn’t going to do much when it’s cloudy or rainy. A Bluetooth speaker is one creature comfort that can enhance your time away from technology without detracting from it. Use this to listen to music while prepping supper on the barbeque and laughing with friends around the fire. Your kids can use it to play a game of Freeze Dance to kill time while it rains or host a dance party on the beach at sunset. When looking for a Bluetooth speaker, consider something life-proof or heavy duty, as it will likely be exposed to the elements more so than when you’re at home. Speakers with suction cups or hanging apparatuses are ideal for outdoor environments. Look at any camping or cottage gear list, and you’ll probably discover this nifty little device. This portable camp stove uses the thermal energy emitted by the fire within to act as a portable USB charger while doubling as something you can take on a hike to make coffee on a mountaintop or cook a snack while deep in the woods. The internal fan keeps smoke to a minimum, making it an enjoyable and efficient way to light a fire. The BioLite Camp Stove comes with different accessories, including a kettle and a portable grill attachment to make your travels easier without taking up too much space. This is a perfect accessory if you’re at your cabin alone and don’t want to bother with a large fire or meal. Imagine capping off the evening with a movie on the big screen, right on the side of your cottage or cabin. Create your own drive-in style movie experience by bringing along the Sony Xperia Touch and projecting a movie onto the wall. The Sony Xperia Touch is a multifunctional tool that can turn any surface into a screen, so you can project games and activities on rainy days. This fascinating tool can fit somewhere unassuming and will silently notify you of the weather forecast via wall projection when you walk near. It also integrates with smart home products, so you can use it even when you’re not at your cabin. Technology does have a place in the wild if you don’t abuse it. Remember to stay away from the temptation of the internet and use your technology and gear as a tool rather than a distraction. Smart Video Doorbell Black Friday/Cyber Monday (2018) Sale and Deals: Ring Up Savings!